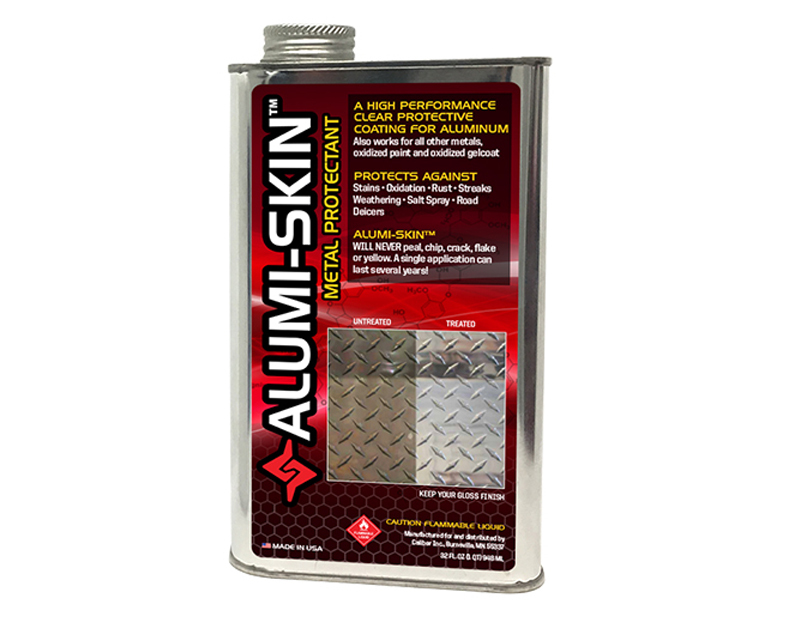 Alumi-Skin is a clear protective coating for all types of metals. 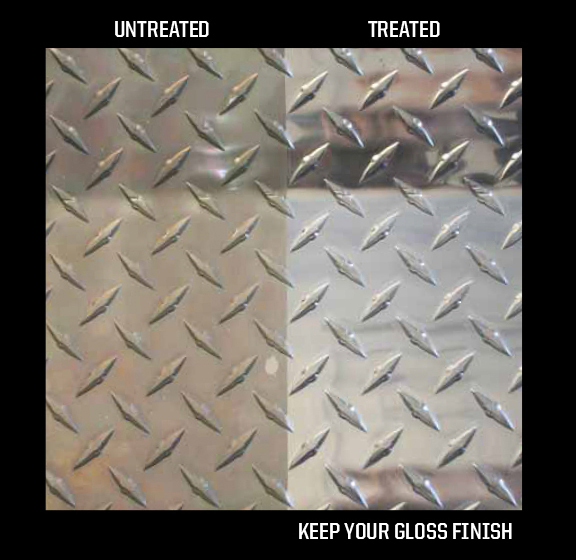 Preserves and protects against stains, oxidation, rust, streaks, weathering, salt spray and road deicers. A single application can last several years! The Alumi-Skin protectant is $94.95. Click here for more information.